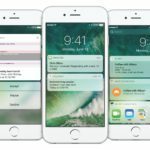 iOS 10 is arguably one of the largest releases in iOS history, with a laundry-list of new features and updates. The new OS is set to launch this fall for the iPhone and iPad, and will be completely free for users. 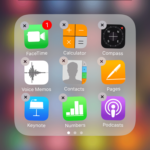 Today, we’re going to take a look at 10 new features that we’re previously unavailable in iOS 9. Widgets are not only existent in iOS 10, that are now a significant factor in how your phone operates and stays productive. While there are only a few widgets as of Beta, 3rd-party apps are sure to receive them once iOS 10 launches publicly. Widgets can be accessed by 3D Touching on an app icon, and are often akin to a miniature version of the app. 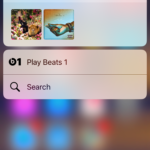 You can get a quick glance at info, and are given the option to add the app to a new widget center, which can be accessed by swiping down anywhere in the OS, to the left of the home-screen, or on the lock-screen. 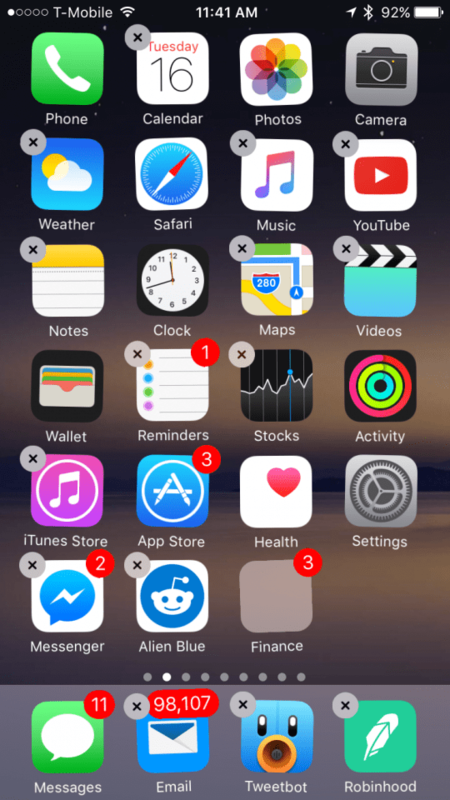 One big new feature of iOS 10 is the ability to delete the pre-installed stock Apple apps from your device. 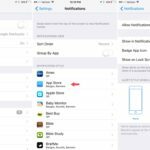 All apps, with the exceptions of Phone, Photos, Camera, Safari, Clock, Wallet, Health, Find iPhone, App Store, and Activity, can be deleted. You delete them just like any other app, long pressing and then pushing the ‘x’. What’s interesting about deleting these stock apps is that it doesn’t actually delete them. Apple has explained that the OS just hides them from your view. To bring back deleted apps, you can simply search for them on the App Store. Once you push download, the app will instantly reappear, as it was never actually deleted. 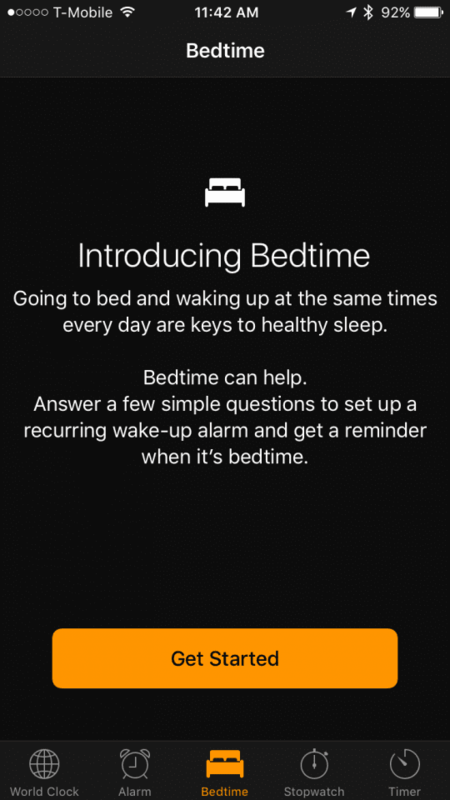 The Clock app includes an all new feature called ‘Bedtime’. The feature is designed to make you healthier by waking you up at the same time every day. When you first launch the app, you’ll be asked a few questions, such as what time should your alarm be and what days of the week should it go off, to set up a recurring alarm, and from then on will be given reminders when it is bedtime. 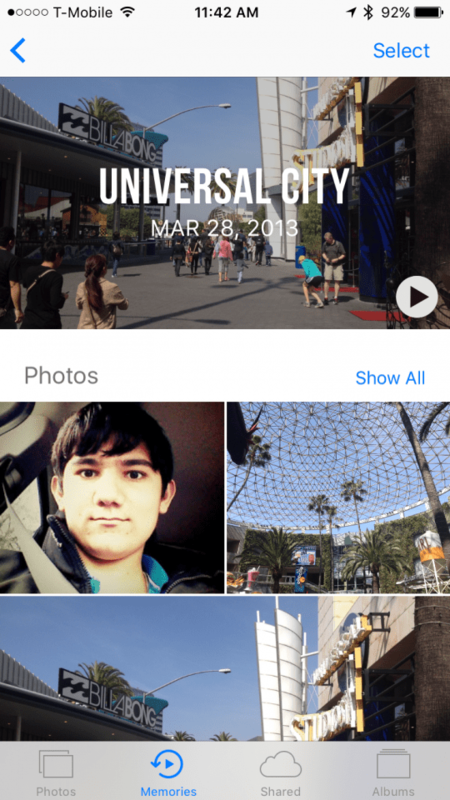 Photos in iOS 10 include a suite of new features and updates, but one of the more notable addition is Memories. Memories will automatically create albums of certain events, complete with the ability to sort through the people in the event and automatically generated videos. This is a small but great addition. 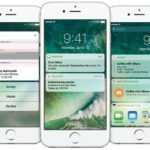 In iOS 10, you can now clear all notifications in notification center with a simple button. 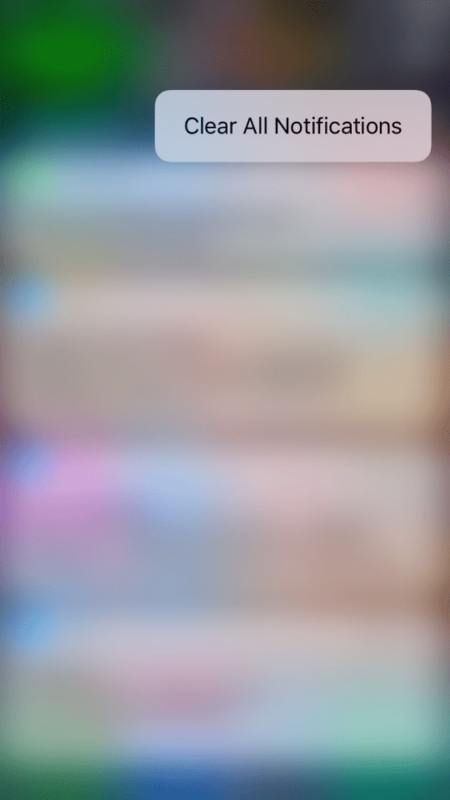 To do this, simply launch Notification Center, force touch on the X, and push ‘clear all notifications’. While there had been a handful of ways to do this pre-iOS 10, iOS 10 now natively supports the ability to send pictures and GIFs straight from Messages. The feature is part of the new Messages Apps, and is done through a stock app called #images. To use it, simply push the app icon in Messages, and push the #images app. Another simply but great tweak, iPhones will now awaken simply by picking up your device. 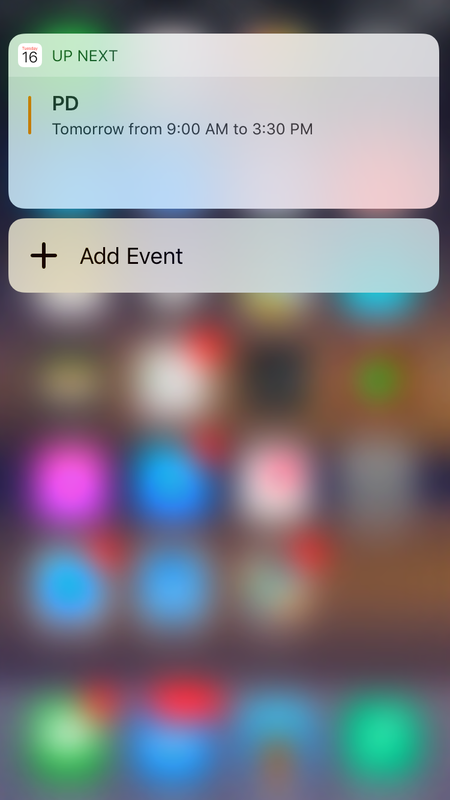 This makes it easy to view information like notifications and the new widgets, without accidentally unlocking your phone with TouchID. 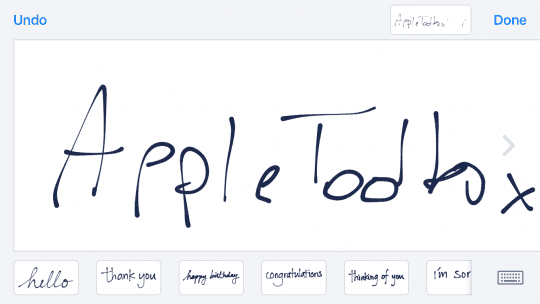 Another cool Messages feature, you can now make things more personal by handwriting messages to someone. 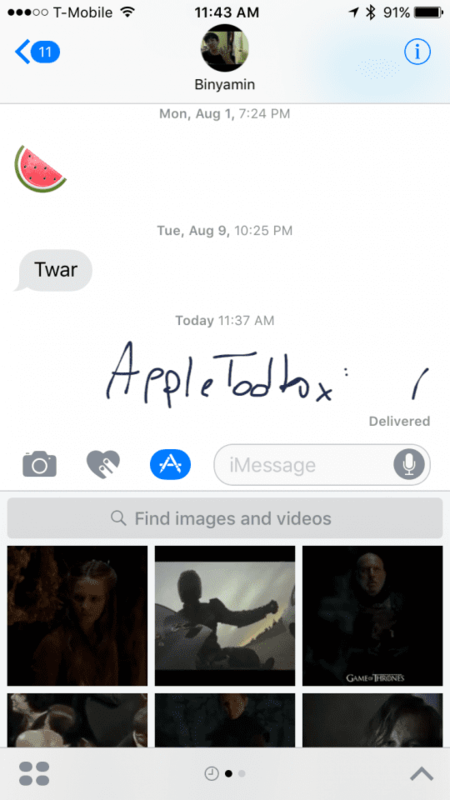 Doing this is pretty simple, all you do is turn your iPhone sideways when in a Messages field, and push the handwriting button in the lower right. From there, you’ll see a selection of pre-written messages, as well as a writing field. After you are done, you can send your handwritten message to your friend. 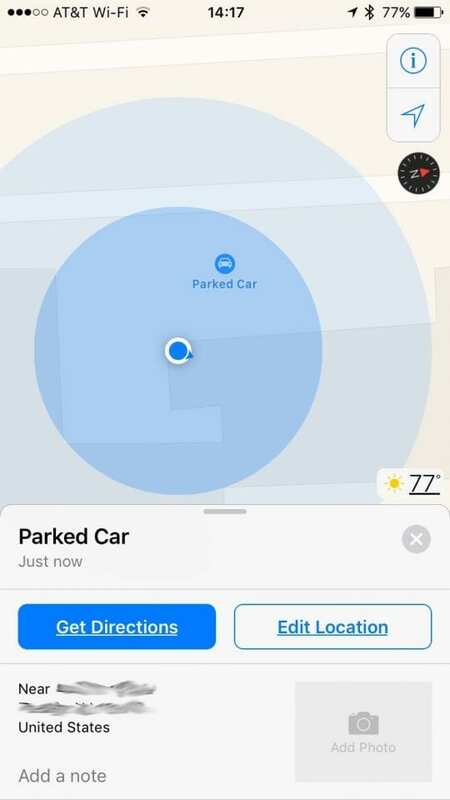 Maps in iOS 10 will now remember exactly where you parked, and automatically give you directions to that location. 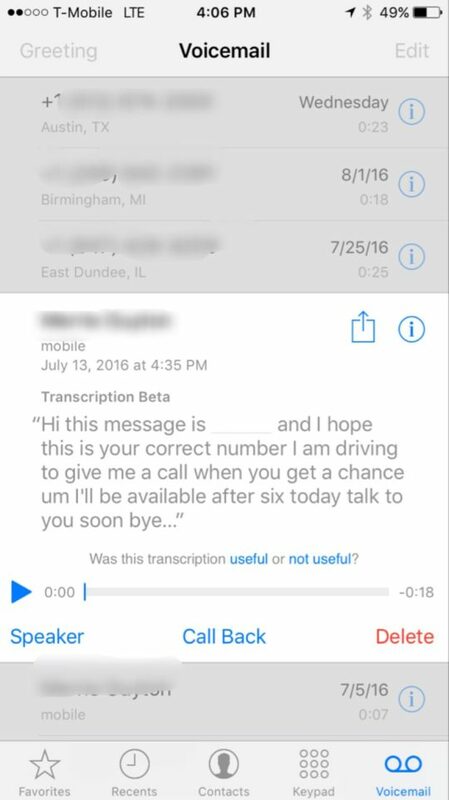 Voicemail in iOS 10 makes the service even better on the iPhone. The voicemail section of the app will automatically transcribe your voicemail messages for you, making it so you don’t actually have to listen to them. These features, along with plenty more, will be launching alongside iOS 10 this fall, but you can them out now with the iOS 10 Beta. For more info about betas, read out guide. 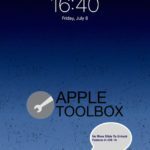 We have also created an exclusive guide that highlights some of the most useful iOS 10 features and provides you with tips on using these features on your iPhone and iPad.